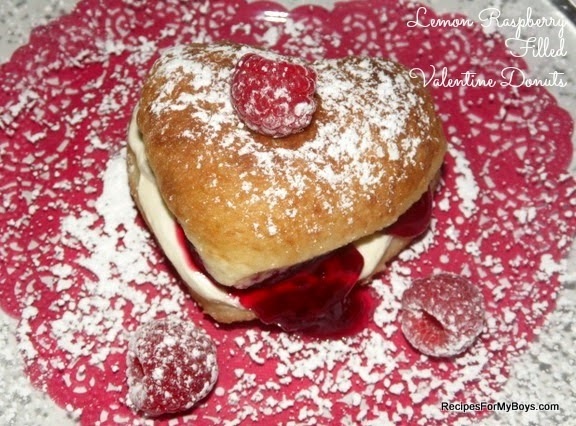 Get out your Rhodes White Dinner Rolls to make these filled donuts for Valentine's Day. Or, any day you are feeling like sharing something special. These are delicious with the sweet and tart layer of lemon curd mixed with whipped cream. A layer of fresh raspberries mixed with pie filling top the lemony cloud. To view the recipe, visit Rhodes. You can also find Valentine inspiration here.